During the CCBF, a variety of programmes will be hosted. They are: Conferences & Seminars that aim to promote exchange of ideas and business cooperation; the Golden Pinwheel Young Illustrators Competition and the Illustrators Survival Corner launched to inject new life into the global children’s book industry; the Chen Bochui International Children's Literature Award that honours professionals of children's literature who have made a great contribution to children's literature around the world; the Authors Festival that brings together renowned authors from China and overseas; the Shanghai Visiting International Publishers project (SHVIP) that offers foreign publishers the opportunity to gain detailed insight into China’s publishing landscape; reading promotion activities for the public, such as workshops, new book releases, and book signings; as well as Connecting the City extension events that span the entire city. The Chen Bochui International Children’s Literature Award is one of the longest–running literary prizes in China, as well as one of the most important awards presented by CCBF. It honours authors, illustrators and professionals of children's literature who have made a great contribution to children's literature in China and the rest of the world. This event is reserved to professionals working in the field of children’s literature. The SHVIP Book Pitch Party is the kickoff of CCBF copyright-related activities, it is also one of the highlights in the Fair’s SHVIP publishers fellowship agenda. The international fellows and local publishers will pitch their best titles to the audience in a challenging three-minute timeframe. An entertaining and inspiring event followed by a networking cocktail. In a country large as a continent where digital media play an essential role in people's lives, book distribution is facing dramatic transformations. Those changes are of special relevance to the children's book business since it is now the number one publishing segment for retail sales in China. On one hand, online bookstores are challenged by new pure players—such as social network platforms on parenting, reading and education—who now run their own sales channel. On the other hand, traditional bookstores are getting back into the game with innovative marketing concepts. Chinese publishing professionals will analyse the fascinating changes operating in this renewed ecosystem. 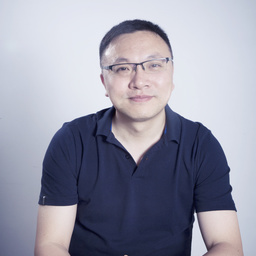 Lin Dan, founder and CEO of Yourbay, boasts 17-year experience in business operation, enterprise management and entrepreneurship. Since its inception, Yourbay, whose vision and mission is to “encourage parent-child reading in every family”, has been committed to providing professional reading instruction services and a variety of reading solutions. Due to her remarkable contributions to the reading promotion program, Ms. Lin Dan earned the title of “Annual Reading Promoter” in the 2014 Chinese Book Industry Awards, and “Top 10 Brilliant Reading Promoters” during the 2014 Beijing Reading Festival. In 2016, Ms. Lin Dan was present at the Times Square as one of the “Top 100 Political and Business Elites”, and was awarded “Parent-child Reading Promotion Ambassador”. The following year, Ms. Lin Dan was the winner of “Zhimi Brand Influence Award” and “Zhimi Perseverance Award”. This year, Ms. Lin Dan was honored with the “Beijing March 8 Red-flag Bearer” award. Ms. Lin Dan herself has long adhered to the education model of “taking extensive reading as a way of life”. Through several hundred lectures held across China, she went further to popularize the idea of “nurturing children’s growth by parent-child reading” among tens of thousands of families. General Manager of Children's book Dept., E-Commerce China Dangdang Inc.
LIU Yu has been working for DangDang 14 years, since 2014, he has been working in Book department, used be director of lifestyle and Technologie books, senior director of purchasing dept., now he is in charging of Children's book section. 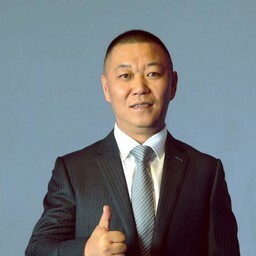 Sales Director, Shanghai Poplar Culture Project Co., Ltd.
PAN Yibo started his career in Juvenile & Children's Publishing House in 2002, and built the Marketing Department from ground up. In 2007, he joined Poplar Publishing's subsidiary in China, responsible for marketing and sales, where he had witnessed the picture book growing into an independent category in a burgeoning market. During the past 11 years, Poplar has achieved remarkable success, with a bookstore listed into New York Times pick of “The 20 Most Beautiful Bookstores in the World”, 482 picture books published, and annual sales exceeding 100 million. New projects like Poplar Picture Book Tour and monthly magazine have created profits. Independently operated monthly magazine Moe (萌) has experienced for 3 consecutive years an annual sales growth rate of 200%, with an innovative and exclusive publishing approach. 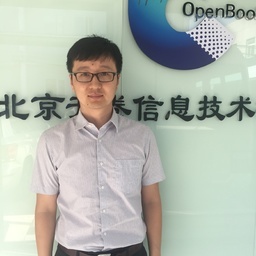 Yang Lei holds a Master of Science degree in Management and is Vice President of OpenBook. Having joined OpenBook in 2006, he was transferred in 2008 from consulting to the market promotions department. He has also worked in a variety of companies, including publishing groups, publishing houses, publishing companies (both foreign and domestic), the press and publications bureau, and digital publishing companies. Throughout these roles he has demonstrated a devotion to serve customers with valuable information and strategies. His clients have included the China South Publishing & Media Group, the Xinhua Winshare Publishing and Media Company, Southern Publishing & Media, Phoenix Publishing & Media, China Machine Press, China CITIC Press, China Mobile Reading Base, and the China Unicom Reading Base. 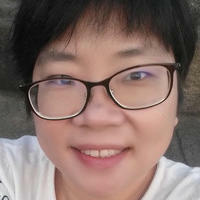 ZHANG Yuqin has been working in distribution for publishing industry for over 15 years. Her main focus is children’s book distribution. She joined Jieli Publishing House in 2008. She has gained a rich experience on children’s book’s online and offline distribution and marketing strategies. 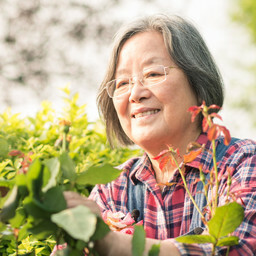 Jiang Li holds a Master’s degree from the Chinese Language and Literature Department of East China Normal University. She worked as the General Manager of Shanghai Bookcity. She is currently deputy general manager of Shanghai Xinhua Media Chain Co., Ltd, in charge of marketing, IT and cloud development department. 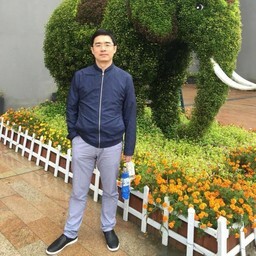 Director, Beijing Bravetime Tech Co., Ltd.
Zhang Ge has 19 years' working experience in children's books and 10 years' working experience in children’s book operations on internet. He served as Marketing Director of Douban’s Publishing Department and worked for both Amazon and JD.com, where he was in charge of the children’s books. At present, he is responsible of the book department at V store. Kitty Crowther writes and illustrates children’s books. She was born and raised in Belgium by a Swedish mother and an English father. As a child she spent her summers in a small Dutch village by the water, and she always felt a strong connection to nature. She has written and/or illustrated more than forty books which have been translated into about thirty languages. She also works on a variety of other projects including theatre productions and live drawing events. She travels widely, giving conferences and workshops to children and adults all around the world. She has won a large number of awards for her work, and in 2010 she received the world’s most prestigious prize for children’s literature: the Astrid Lindgren Memorial Award (ALMA). 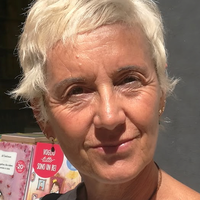 Giovanna Ballin has been international rights manager and editor of Corraini Edizioni—one of the most prestigious Italian publishing houses in the area of children’s books, art, design and illustration—for more than 25 years. She works both on the managerial and artistic fronts. On one hand, she deals with foreign rights management, regularly participates in some of the sector’s leading fairs and events (Frankfurt Buchmesse, London Book Fair, Bologna Children’s Book Fair, BookExpo America, Tokyo Art Book Fair, Seoul International Book Fair, Guadalajara Book Fair, New York Art Book Fair and New York Rights Fair), organises other events such as exhibitions and is in charge of communication with foreign authorities and institutions. On the other hand, her work involves research, scouting and discovering new, emerging authors and foreign publishing houses whose work is like-minded to ours and with whom we can develop projects and collaborations. Suzy Lee’s books have been published and acclaimed around the world, most notably for Mirror, Wave and Shadow, known as The Border Trilogy. Wave won the gold medal from the Society of Illustrators at The Original Art Show, U.S.A., Wave and Shadow were selected for the New York Times Best Illustrated Children’s Books. She is also author-artist of Lines, Alice in Wonderland, The Zoo, L’oiseau noir and Mi taller de pintura. Her illustrated books include Open This Little Books, which was awarded Boston Globe–Horn Book Awards (honor). In 2016, Suzy Lee was shortlisted for the prestigious Hans Christian Andersen Award. She is currently living and working in Korea. After she graduated in Pedagogy in 1983, Grazia Gotti founded the Cooperativa Culturale Giannino Stoppani with a group of kindergarten and primary school teachers and educators of her work circle. The Cooperativa runs an independant children's book store and organises illustration exhibition and training courses for teachers and educators. Grazia Gotti currently collaborates with many publishers, scouting for books and curating book series. She also runs her own publishing house. centre and research and training school for teachers, educators, librarians and book sellers. Grazia is also the author of several books, including A scuola con i libri. Avventure di una libraia-maestra (At School with Books—The Adventures of a Teacher and Book Seller), Rizzoli, 2013; Ne ho vedute tante da raccontar. Crescere con i libri (I Have So Many Things To Tell You About—Growing up with Books), Giunti Editore, 2014; 21 donne all'Assemblea (21 Women at the Assembly), Bompiani, 2016. In this wide-ranging discussion, a panel of experienced publishing professionals will offer a comparative look at the underlying ideas and values that characterize the picture books currently being created in Asian and Western countries. What makes an Asian picture book "Asian" and a Western picture book "Western"? Why do some picture books "travel" successfully from one national market to others, and not others? What can artists, writers, and publishers learn from each other across national borders? Director, Beijing Hongniba Co., Ltd.
LIN Xiaoxi, better known by his pen name Ajia, is a leading advocate for reading programmes across China. 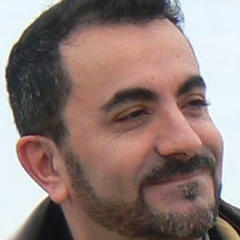 He is also a writer, translator, and co-owner of an independent bookstore of children’s books. 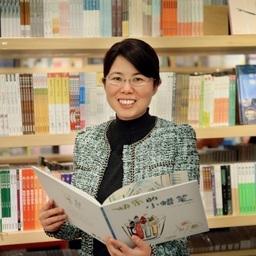 HUANG Xiaoyan is the founder, CEO and Editor-in-Chief of Everfater Children's Book Publishing. She is also a senior children's book publisher. She founded Macmillan Group's joint venture in China—Macmillan Century. Additionally, she has also worked with a number of international publishing companies including Harper Collins and Amazon. Through 26 years of experience in the publishing industry, she has gained has rich experience in publishing at home and abroad. She is also a mother to a warm-hearted and beautiful 18-year-old daughter. Leonard S. Marcus is one of the world’s foremost writers about children’s books and the people who create them. 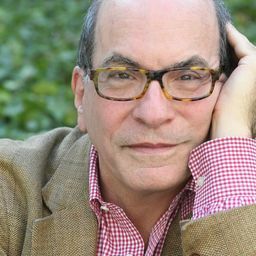 He is the author of more than 25 award-winning books, including Dear Genius: The Letters of Ursula Nordstrom; Golden Legacy: The Story of Golden Books; Show Me a Story: Why Picture Books Matter; Maurice Sendak: A Celebration of the Artist and His Life; and Helen Oxenbury: A Life in Illustration. Leonard is a frequent contributor to the New York Times Book Review and Horn Book and was Parenting magazine's book critic for 21 years. 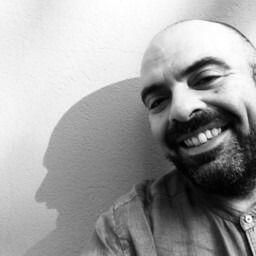 He is a founding trustee of the Eric Carle Museum of Picture Book Art and has curated numerous exhibitions including the New York Public Library’s landmark The ABC Of It: Why Children’s Books Matter. Leonard has judged the New York Times Best Illustrated Children's Books of the Year Award (four times), the National Book Award, the Ragazzi and SM Illustrator Prizes of the Bologna Book Fair, the Fondacion SM's Catalogo Iberoamerica Ilustra, Scholastic Asian Book Award (jury chair), and Chen Bochui Award. Creative Director, Walker Books Ltd.
Deirdre McDermott is the Picture Book Publisher and Creative Director at Walker Books, the largest independent children's publisher in the UK. Working with her talented team of picture book designers and editors, Deirdre has collaborated closely with distinguished bookmakers Helen Oxenbury, Chris Haughton, Jimmy Liao, Chinlun Lee, Anita Jeram, Bob Graham, Zhu Chengliang, John Burningham, Jean Jullien, and Oliver Jeffers—amongst many others. She firmly believes that the stories that are read to us as small children shape us into the people we become, and her ultimate creative ambition is to empower artists and authors to tell stories that children want to hear again and again, and to make picture books that they will always remember. A native of Dublin, Ireland and educated at the National College of Art and Design, Deirdre lives in London, England. Maria Russo has been the Children’s Books Editor of the New York Times Books Review since 2014. 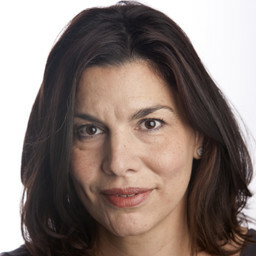 She previously worked as an editor and writer at The Los Angeles Times, The New York Observer and Salon. She holds a Ph.D, in English and Comparative Literature from Columbia University. 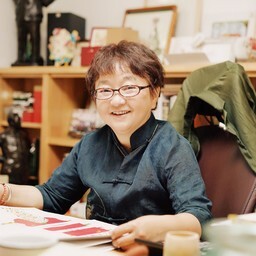 Hong ZHANG, fondly nicknamed “Auntie Magic” by her young readers, is China’s award-winning writer for children’s literature. 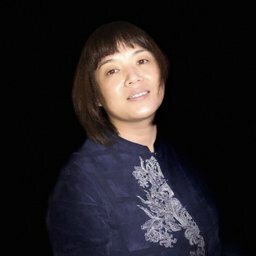 Born and educated in Shanghai, she began writing fantasy in school and has published more than 20 books including E girl, The Happy Little Crayons and Wonderlands: A Magical Atlas. She also translated into Chinese the masterpieces of E.B. White, Michael Morpurgo, Tomi Ungerer and David Shannon. In 2014, Hong founded the digital media platform “MagicReading” on WeChat to enable children aged 2 to 12 years (and their parents) to easily find, share, and enjoy good books. 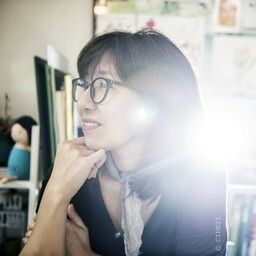 In her work, Hong engages and collaborates with education experts, writers, illustrators, publishers, the media, charities, funds and the public service. Her non-profit organisation enjoys increasing the popularity of children’s books nationwide. Hong was awarded the Chevening Scholarship by the UK Foreign and Commonwealth Office and was named among Shanghai’s Top 10 Youth in Culture & China’s Reading Promoter of 2018. What are the new trends in the global children’s publishing industry in 2018? What are the challenges and opportunities that children’s book publishers are facing worldwide? How did China Children’s publishing industry perform in 2018? Four media professionals from four countries around the world will present the audience with a feast covering the most cutting-edge topics in the global children's book publishing field. China Publishers Magazine will issue the "Report of the 2018 China’s Children's Publishing Industry", helping researchers and publishers to better understand the China market. In addition, experts from Publishing Perspectives, The Bookseller, Livres Hebdo, and The Bunka News will gather for the first time, share their views towards the trend of children's publishing industry, and the role of professional media in the publishing industry. 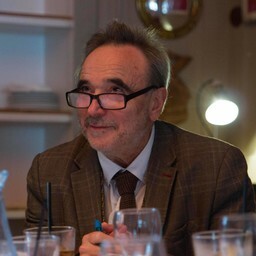 Claude Combet is a journalist specialising in children's books. She writes for Livres Hebdo, the leading French trade magazine for booksellers, librarians and publishers. She is a teacher in Publishing at Angers University. 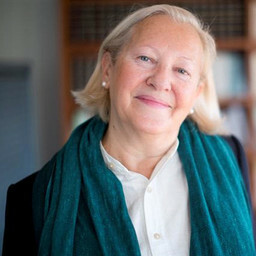 She is the author of Les défis de l’édition (The Challenges of Publishing), published by Éditions Milan in 2007. Claude also penned several children's books about Paris and its surroundings, together with Thierry Lefèvre. Dr. Ren Dianshun is the Executive Editor-in-Chief of China's Publishers Magazine, one of the most influential cultural media in China. He is also a researcher for the China South Publishing & Media Group, major player in the Chinese publishing schene. Ren earned his doctorate at Renmin University and was post-doctoral researcher at Beijing University. He has a good understanding of the publishing industry and new media. He has published over 50 academic articles, and is in charge of five research projects at the national level. 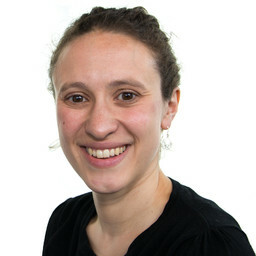 Charlotte is children’s editor at The Bookseller magazine, covering the children’s book industry in the print magazine and online. She has interviewed authors and illustrators including Michael Bond, Chris Riddell and Julia Donaldson, and programmes the annual Bookseller Children’s Conference. 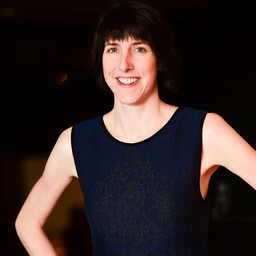 In 2014 she launched the YA Book Prize for authors of YA novels from the UK and Ireland and is a regular guest on book programmes such as BBC Radio 4’s Open Book. 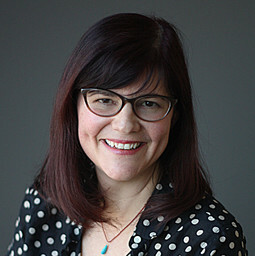 Hannah Johnson is the publisher of international book industry magazine Publishing Perspectives, which provides daily information and news about book markets around the world. 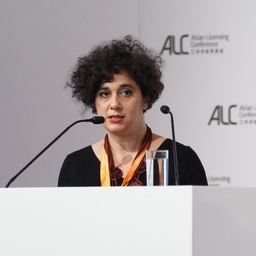 In addition to building partnerships with international cultural and trade organizations, she works with the Frankfurt Book Fair to organize and support a number of its overseas initiatives. Hannah also worked as the managing editor for an online media company, The Hooch Life, focused on craft distillers and cocktail experts. Prior to that, she worked as a project manager for the Frankfurt Book Fair’s New York office, managing various business and marketing activities. After graduating from Waseda University, First Faculty of literature, he joined one of consulting firm in Japan, with experience of new business development section. 2 years later, he became freelance consultant, focusing company’ concept making, branding, product development. Not only business consulting, he offers mental therapy, develops workshop for person, or companies. Utilizing his all skills earned, he joined Bunkanews Ltd, and currently being in charge of business development for bookstores, and organizing projects for intellectual property (copy rights) designed for book publishing companies. 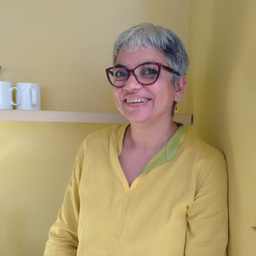 Gita WOLF founded Tara Books as an independent publishing house in India. As an original and creative voice in contemporary Indian publishing, she is known for exploring and experimenting with the form of books. She has written over twenty books for children and adults; several of these have won major international awards and have been translated into multiple languages. Tara creates most of its books in-house and collaborates with a range of unusual talents, from tribal artists to signboard painters to truck artists. They are also known for pioneering the craft of affordable handmade books for booklovers. Beginning with The Very Hungry Lion in 1995, Gita has written over twenty five books for children and adults. Several have won major international awards and been translated into multiple languages. One of these – Do! – was honoured with the prestigious BolognaRagazzi New Horizons Award in 2010. 2018 marks the 40th anniversary of China's economic and social reforms, which lead the country to become one of the most developed economies in the world. These reforms have had a deep impact on every productive industry, including publishing. Taking place in Shanghai—a pioneer city of this opening process—, this high-level conference aims to review the latest 40 years of Chinese children's publishing and explore new trails for its development. It will give a voice to major Chinese stakeholders who have accompanied the renovation of the industry, and to foreign publishers who have strongly contributed to the internationalisation of the Chinese market. Bai Bing is a children’s literature writer and a member of the Children’s Literature Committee of the China Writers Association. 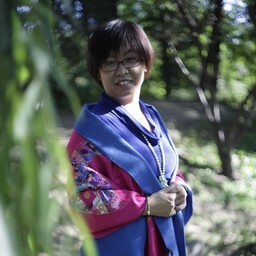 Bai Bing was the Vice President of the Writers Publishing House and now is the Editor-in-Chief of Jieli Publishing House. He is the winner of the 12th Taofen Publishing Award and is an “Excellent Publisher” as recognised by the China Publishing Government Award. He is also listed within China’s Top 100 Publishing Entrepreneurs. Bai Bing’s famous works include the Little Mice series, Fox Bird, Green Sun and Red Moon, The Elephant Who Eats the Night, Flying Young Heart, as well as picture books including Don’t be afraid, Dad, Change Mum, Umbrella Tree, The Beast Island of Tall Uncle, and The Flight of A Bullet. These works have been distinguished in the National Excellent Children’s Literature Award, the Bing Xin Children’s Literature Award and the Chen Bochui Children’s Literature Award. His poems, such as What If, are also collected in Chinese primary school textbooks published by People’s Education Press. 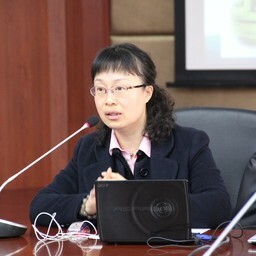 Feng Jie graduated from Fudan University in July, 1985, with a major in Chinese Language and Literature. He started his publishing career in the same year at Shanghai Literature & Art Publishing House. 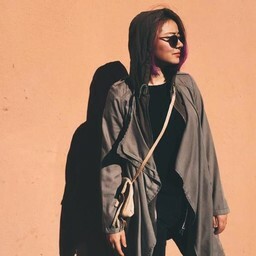 Feng Jie began as an editor, before serving as advertising management director and new media director. He later took charge of the magazines of SLAPH, such as Xiu WITH, Xiu BITEKI, Xiu AneCan, Travelling Scope, VIGOR, and Comic Stories. 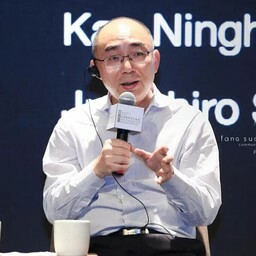 In 2012, Feng Jie was assigned as chairman of the board and general manager of Shanghai Stories Media Co. Ltd., and in 2015, as president of Shanghai Culture Publishing House. In 2018, he was appointed as president and Party Committee Secretary of Juvenile and Children’s Publishing House. He is also vice president of the 6th presidential committee of China Periodicals Association, a member of the 7th standing committee of Shanghai Publishing Association, and a member of the 4th directing committee of Shanghai Trademark Association. Mallory Loehr has been with Random House for twenty-eight years, and has made immense contributions, demonstrating a genuine pouring-from-the-heart passion for children’s books. As an editor, Mallory has shaped and advanced the careers of countless authors, including a once-unknown Mary Pope Osborne (Magic Tree House series) and current The New York Times Best Selling Author and Illustrator, Emily Winfield Martin (The Wonderful Things You Will Be). 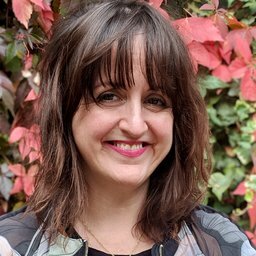 Under her direction, the Random House/Golden Books group has soared, with an expanding list of terrific authors such as Amy Krouse Rosenthal, Brigette Barrager, Chris Grabenstein, Jeanne DuPrau, Jennifer Holm, Jory John, Judd Winick, N.D. Wilson, Rachel Hartman, and Tom Fletcher; brands including Dr. Seuss, Little Golden Books, Junie B. Jones, and Magic Tree House; and a licensed publishing team that rivals any in the industry. 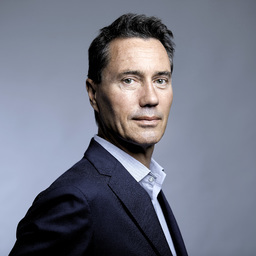 Pascal Ruffenach is Chairman of the Board of Bayard Group since June 2017. 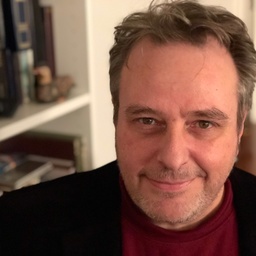 He joined the Group in 1992 as a member of the Executive board of “Bayard Press Business Development” and was in charge of the editorial strategy for the Children and Adult publications. In 2001, he became Director of Bayard America, and upon his return to France, he was named Director of the Children’s Magazines (Bayard Jeunesse). In 2005, he became Deputy Director of the Children’s activities of the Group (Magazines, Books, Digital). 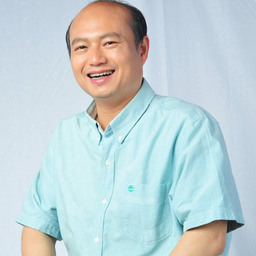 Sun Zhu, born in 1963, is a member of the Communist Party of China, secretary of the Party Committee and president of China Children's Press & Publication Group, and also secretary of the Party Committee and director of Industrial Development Center of the Central Youth League. 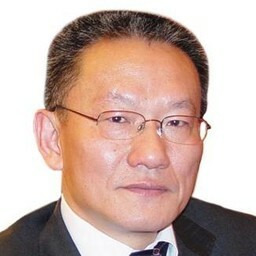 He was once a deputy secretary of Inner Mongolia Autonomous Region Committee of the Communist Youth League and director of Young Pioneers National Working Commission. He was once a member of the Party group and director of China Young Pioneer Career Development Center, and a secretary of the Party group and director of China Youth Development Service Center, and the deputy director of China Young Pioneers National Working Commission. 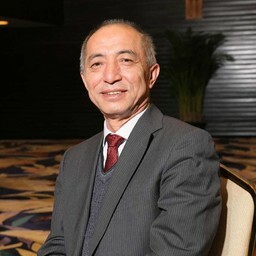 Zhang Mingzhou is Executive Vice President of the China Children's Literary Research Association and also serves as Board Member at the Publishers Association of China. In 1991, he graduated from the Shanghai International Studies University, having majored in foreign affairs management. Since then, he has worked in the Asian Department of the Ministry of Foreign Affairs, as well as in the China Children’s Press & Publication Group. He is proficient in English, specialises in international cultural and artistic exchange, and is particularly passionate about international cooperation in children's literature, children's publishing and the promotion of reading. 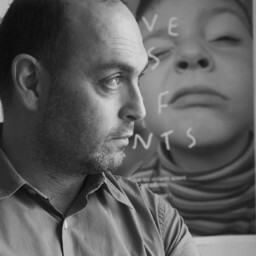 He has also participated in the planning of numerous Chinese and foreign children's publishing projects and has served on international awards jury. In September 2018, he was elected as President of the International Board on Books for Young People (IBBY). What Makes a Classic Picture-Book Character? At the core of almost every classic picture book is a character that children can identify strongly with. In this panel discussion, moderated by Maria Russo and Leonard Marcus, noted picture book artists from around the world will tell how such characters are created. David Shannon is the author and illustrator of many highly praised books for children. Born in Washington, D.C., he grew up in Spokane, Washington. He graduated from the Art Center College of Design in Pasadena, California, with a fine arts degree, and then moved to New York City. He is the internationally acclaimed creator of more than 30 picture books, including No, David!— a Caldecott Honor Book and New York Times Best Illustrated Book of the Year. With more than 13 million books in print in 13 languages, No, David! burst onto the picture book scene in 1998 and was named a Caldecott Honor Book, a New York Times Best Illustrated Book, and has been a classic for 20 years. Shannon’s other bestsellers include A Bad Case of Stripes, Duck on a Bike, and Too Many Toys! His most recent book is Bizzy Mizz Lizzie. His editorial illustrations have appeared in The New York Times, Time, and Rolling Stone, and his artwork has appeared on numerous book jackets. Shannon is a passionate baseball fan and softball player. He and his wife now live in Los Angeles. Anastasia Arkhipova was born in Moscow in 1955. Being the third generation of illustrators in her family, she started drawing at a very young age. She began illustrating books when she was still a student at the Surikov Academy of Fine Arts in Moscow and has been collaborating with Russian and foreign publishers ever since. She met her first international success in 1984 after illustrating a Brothers Grimm fairy tale for a German publisher. Afterwards, Anastasia continued to illustrate classics by the Grimm brothers, Hans Christian Andersen—who remains her all-time favourite—, as well as Oscar Wilde and Charles Dickens. Most recently, she has also begun illustrating for modern Chinese authors. Since 2012, Anastasia has been a member of the Russian Academy of Arts, from which she received a Silver Medal in 2013. She teaches at the Stroganov Academy of Arts in Moscow and is Head of the Board of the Association of Book Illustrators and Designers at the Moscow Union of Artists. She organises book and illustration exhibitions, launched Image of the Book—an international contest for book illustrators and designers—, has participated as a judge in art competitions. Since September 2018, Anastasia has been Vice President of the International Board on Books for Young People (IBBY). This event on connected publishing will look at some practical solutions to developing content and on paper and the screen. Publishers, readers and technology makers can benefit greatly from understanding each other and their communities. This event is for all publishers and developers. There has never been a better time to look again at a print/digital strategy and develop the necessary partners and bridge points to new technologies and established craft of publishing today. 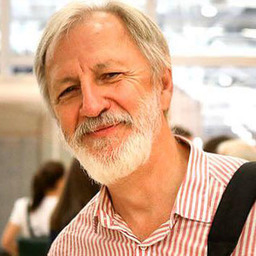 Neal Hoskins is the Connected Media Consultant for the Bologna Children’s Bookfair and has for the last 7 years been observing changes in the publishing landscape and creating a bridge between print and digital publishing worlds. 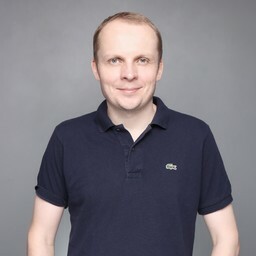 He has worked in educational publishing and on special digital first project for the EU commission, The London Olympic Games and Foyles of London. Japhet Asher has created, written, produced and/or overseen content for Nickelodeon, Disney, CBBC, CBeebies, MTV, ABC, CBS, HBO, Fox, Canal+ and more. He also launched the CBBC and CBeebies YouTube channels and was in charge of digital content for CBBC during its most successful era to date. Japhet’s work has earned Emmy, BAFTA and Oscar recognition. In 2016, Japhet was appointed Digital Director at Carlton Publishing, where he oversees the creative and development process for new print/digital formats, notably with augmented reality (AR). 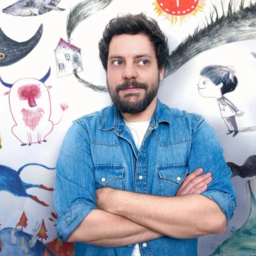 Two of the titles with AR apps, which Japhet developed for Carlton, won the top digital prizes at the 2018 Bologna Children’s Book Fair. Japhet also creates new brands and develops business opportunities in print and digital content. Japhet’s augmented reality adventure novel, “The Ghostkeeper’s Journal & Field Guide”, is on sale from October 2018. 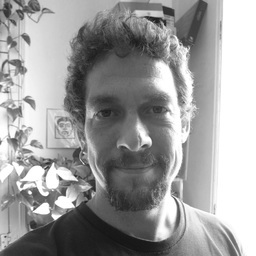 He is also developing new IP through his own company, Polarity Reversal Ltd.
Damien Giard joined Bayard Group in 2005 and has been leading the digital development of children's contents for about a decade. Bayard Group—a children’s expert in Europe and abroad (magazines, books, multimedia and TV animation)—has been strongly involved in digital innovation for over 15 years. Damien has developed both e-commerce and digital products thanks to two major vehicles: an innovative platform for kids from 3 to 11 (Bayam) and the first French e-reading platform for kids from 3 to 12 (J'aime Lire Store). Damien started his career in 1995 at Sony Music, as manager for promotion, development and online marketing. From 2000, he worked at cHmAn, a French online game start-up with Ubisoft (shareholder), as an expert for new business model development. From 2012 to 2014, he worked for Tribal Nova (Houghton Mifflin Harcourt) as VP product development and head of the studio. 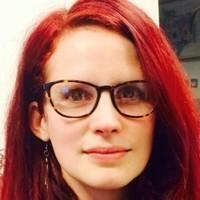 Kristin Heitmann is the founder and owner of appp media, an app developer studio and publisher based in Germany. appp media specialises in children’s apps that have an educational focus. 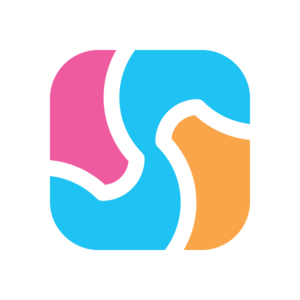 The apps have won numerous awards both in Germany and the US. 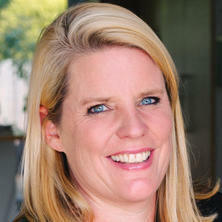 Prior to developing apps since 2011, Kristin worked for 10 years as a primary school teacher and authored school books. She is part of the Games Allocation Committee of the Games Funding of FFF Bayern and sits on the jury for the German award “Pädagogischer Medienpreis”. Kristin lives and works in Munich, Germany. 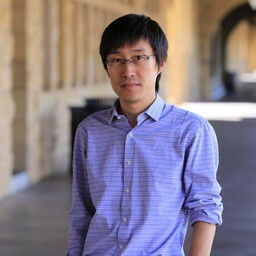 James Ren founded Ellabook in October 2013 and currently serves as CEO of the company. He is also a graduate of the Central University of Finance and Economics. Based on his deep understandings of children’s digital reading, James led more than 100 IT engineers to successfully develop a world’s leading production engine of animated books, in addition to an interactive digital reading platform with the most varied of categories. To date, Ellabook has completed four rounds of funding totaling more than 20 million USD. Furthermore, Ellabook has abundant copyright resources and superior IP licensed from nearly a hundred publishers including Scholastic, OUP, CCPPG, Jieli and other top-tier publishers from both inland and overseas. Through years of entrepreneurship, James has cultivated an original methodology for developing internet start-ups and formulating business models. Thijs Bosma established the company in 2008 where it was first an outsourcing game firm. With his previous experience as business development manager at Spill Games Asia and a marketing lead at Media Republic, he developed a vision to create a brand that would resonate to all children around the world. Seeing the rapid growth of technology and the internet, as well as seeing the ingrained positivity children have in exploring the world, he progressively turned the brand into a kids’ app developer releasing its first title Dr. Panda Teach Me! Rebranded to Dr. Panda in 2015 to better suit the personality and character of the company, Dr. Panda now has over 30 apps in its portfolio, making it the largest independent kids’ app creator with its own character intellectual property (IP). 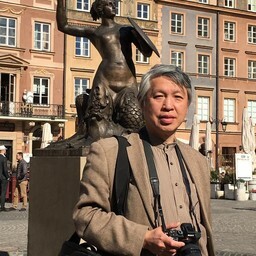 As an editor, Bai Bing has been responsible for the publication of literary classics by Schopenhauer, Milan Kundera, Nicolas Evans and Michael Ondaatje. Barry Cunningham OBE is one of the world's leading children's publishers. After an English degree at Cambridge, he joined Penguin Books in 1977. As Children’s Marketing Director for Puffin, he worked with all the great names in children’s books including Roald Dahl and Spike Milligan, and was responsible for the re-launch of Beatrix Potter. In 1984 he was promoted to the Penguin Board and became responsible for the marketing of all Penguin Books, a position he held until 1988 when he was headhunted by Random House. In 1992 Barry left London to move to the country and start a second family, but he returned in 1994 when he was approached by Bloomsbury to set up their first children’s book list. Not only was the new list a success, but Barry became one of the best known names in publishing after he signed up J. K. Rowling’s Harry Potter and the Philosopher’s Stone. Ms. Rowling has publicly acknowledged his creative and commercial contribution. Missing family and country-life, Barry left Bloomsbury happily at the height of his success. Soon after, in early 2000 he decided to start his own publishing company. The result was Chicken House, a lively and creative company publishing highly original and enjoyable children’s books, with a special emphasis on new fiction writing. Arthur Hubschmidstarted his career as assistant layouter at text book publisher Éditions de l’École. In 1964 he became artistic director of Editions de l’Ecole. Two years later, he founded L’école des loisirs—an imprint of Éditions de l’École—with the aim to start a children’s book collection. In the 1970’s, he launched « Joie de lire » books for beginning readers and started a fiction list for Young Adults. From 1988 onward, he contributed to the international opening of L’École des Loisirs by opening several branches in Europe: Pastel in Belgium, Moritz Verlag in Germany (1994) and Babalibri in Italy (1999). In the 1990’s the company stopped publishing school books: it is today L’école des Loisirs is one of the most respected is children’s books publisher in the French-speaking world. Teresa Tellechea is a publishing professional with more than 20 years’ experience in Spanish and international publishing and a large, global network of contacts. With A Spanish native speaker, she is also fluent in English and French, has got intermediate proficiency in Portuguese and Italian and basic knowledge of German. Since 1998, she regularly attends the Frankfurt and Bologna Book Fairs in order to scout for new projects and trends in children’s publishing. Teresa has gained broad experience in international co-editions as she licensed titles from numerous European, American and Australian publishing houses. Since 2016 Teresa also works for Fundación SM in projects related with the promotion of reading, illustration, arts and culture. 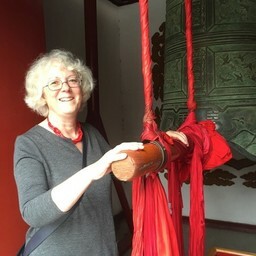 Her tasks include the organization of the 4th CILELIJ in 2020 –an international congress focused in children’s and YA literature and reading formats in the region of Ibero-America. More than 3000 people attended to the precedent CILELIJs in Bogotá (Colombia), Santiago (Chili) and Mexico City. XIONG Liang was born 1975 in Jiaxing, a small city in Southern China. As a child, he developed an interest in traditional Chinese ink and brush painting. He is completely self-taught and learnt from classic works of art and literature from inside and outside China. His creations span a diverse variety of genres, including novels, children’s books, plays, modern ink brush painting and works of illustration for adults. 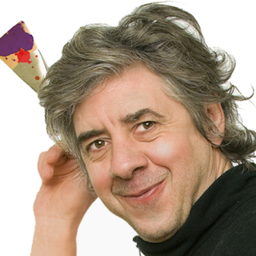 His first illustrated children’s book was The Little Stone Lion in 2007. He has since illustrated a three-book collection of nursery rhymes and games entitled Children at Large (2013) and several other books where nature, weather and the seasons play a powerful role. These include The Solar Terms (2015), Monster of the Monsoon (2015) and Wandering with the Wind (2016). In 2018 he became the first Chinese artist to be shortlisted for the Hans Christian Andersen Award. Publishing and licensing are the eternal link between content and its potential commercial development. All major bestsellers children’s contents come from books, as Barbapapa, Harry Potter, Geronimo Stilton, Clifford, just to quote a few global successes. On the other side, publishing is that kind of licensing deal which allows to original IPs, wherever they come from videogames or TV series, to give a strong background to their stories and characters. When an original IP, as Peppa Pig or PJ Masks, becomes a book, it puts the basis for a long term property through the children’s audience. That’s why publishing plays such a crucial role in the IP building process and vice versa. This special licensing session has the aim to focus on the evident link between children’s publishing and licensing through publishers and licensing Professionals and strengthen the potential and huge business network among them. Cristina Angelucci has over 18 years of experience in the licensing and children’s entertainment business, along with a background in marketing, public relations, communications, sales and business development. Since 2002, she has been a Consultant at Bolognafiere Spa, focusing on entertainment and media projects. Since 2008, she has also been in charge of the organisation of the Bologna Licensing Trade Fair, which is the only Italian licensing event and is one of the flagship events of its kind in Europe. Since 2012, she has furthermore been in charge of the development of licensing trade magazines and has worked as Editor, on behalf of Bm srl, of Licensing Magazine, which is a leading publication distributed globally. She started her career in 2000 in Rai, the Italian Public Broadcaster, where she worked for almost 10 years, covering: acquisitions and TV special projects for the children’s channel, RaiSat Ragazzi, business development and for RaiCom the organization of Cartoons on the Bay (a major European Animation Festival). Susanne Han, Senior Publishing Manager of Comcast NBC Universal, is responsible for the publishing license business of Comcast NBC Universal (comprising Universal Pictures, Illumination and DreamWorks) in Greater China and South East Asia. 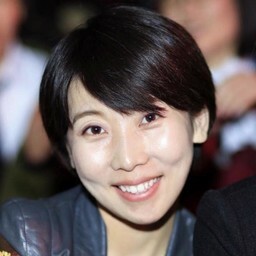 She previously worked as the Vice Director of the China Children’s Press & Publication Group International dept. for eight years, focusing on their foreign rights business, as well as facilitating international cooperation and reading campaigns with publishers and organisations worldwide. In 2007, Selina She led a team at Tencent.com to create China's first website dedicated to children’s content: the Children's Channel. Since then, Selina has driven the Children’s Channel to become a solid platform with a clear mission—being the “safest, healthiest, and greenest children's website” through the use of online learning, games, animation, books and social activities. The key of the channel’s success resides in providing the information and elements required for children’s comprehensive development. Since 2015, it focuses on video content operations and is now Tencent’s second largest channel in terms of video traffic. Most recently, Tencent created the Little Penguin App; it offers an exclusive targeted content platform for young children. Subsequently, at the end of 2016, Penguin Film and Television began investing in IP, which has since performed well in terms of distribution and derivatives. 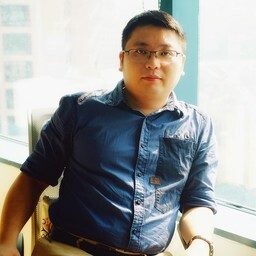 Nicholas (Hao) Sheng is General Manager for the Brand Management and Operations Centre at UYoung Culture & Media Company. In this role, he is responsible for IP brand management, business development, merchandising and licensing management. 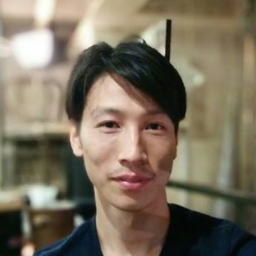 Before joining UYoung, Nicholas graduated from Tsinghua University with a Master’s degree, and has accrued nearly 15 years’ management experience in marketing and sales for multinational companies such as L’Oréal, Nestlé and Mars. 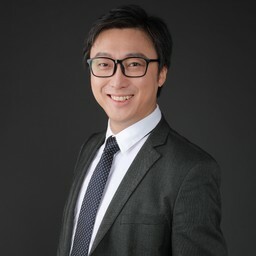 He has also won the CMO Golden Craftman Award, Mawards, China Advertising Great Wall Awards, in addition to the JD.com & Tmall.com Best Customer Marketing Awards. UYoung, founded in 2000, is a market leader in China focusing on providing high-quality entertainment and education products and services to children and their families worldwide. Furthermore, UYoung has previously collaborated with Tiandi Press and Lijiang Publishing Limited to publish “Shaun the Sheep” and “P.King Duckling”, and is continually seeking more opportunities for collaboration. Jonathan Symington, former Vice President and General Manager of Global Entertainment Licensing at Disney Consumer Products, is the CEO and founder of the Lantic Group. The Lantic Group is a business consultancy specialised in building brands through product launches, licensing strategies, and international expansion. Prior to creating the Lantic Group, Jonathan spent over 15 years in key positions at Disney Consumer Products and Disney Publishing Worldwide, in Paris, Beijing, New York, and Los Angeles. During his illustrious and varied tenure at Disney he oversaw the global operations for book retail, book licensing, global licensing, live action studio licensing, and global entertainment licensing. 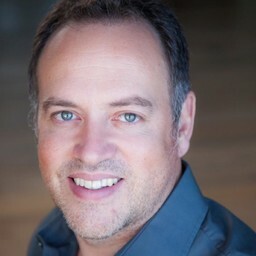 Among other accomplishments, Jonathan was also responsible for planning and executing publishing and consumer product strategies for brands across the Disney portfolio. With the Lantic Group he is building licensing, publishing and promotional programmes for clients such as global publisher and collectibles expert Panini, children’s lifestyle brand Deer Little Forest, and pre-school property Flora of the Forest. 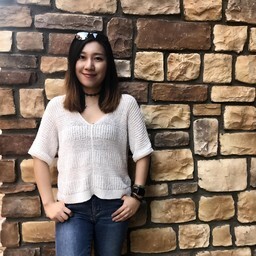 Shi Yan graduated from the Law School of Peking University and an experienced publisher, has been working as the Deputy General Manager of Children’s Fun Publishing Co., Ltd. since January 2015. Nearly 15 years book and magazine publishing experience. A comprehensive understanding of all publishing areas including copyright negotiation, editorial work, sales and marketing, especially in the field of developing and operating IP related books and overseas licensing of local created books. She has imported and masterminded many bestsellers such as My First Observation Book, Disney Learning Leveled Readers. 3 years work experience in World Intellectual Property Organization (WIPO) in Geneva and expertized in international protection and economical development of Intellectual property. She is the Best Employee of Egmont Media Group in 2010. Bachelor of Economics of Nan Kai University, Master of Finance of Northeastern University. 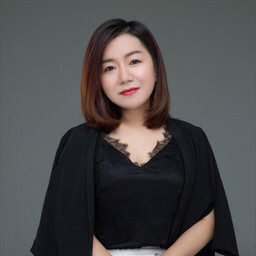 She has been Rights Manager, DB Director of CITITC Kids, Deputy General Manager of Children Business in CITIC Press Corporation, mainly in charge of Children’s IP operation business. Curated the Hans Christian Andersen Award of IBBY, 50th anniversary Exhibition in 2017, which has been exhibited very successfully in Shanghai, Beijing, Zhengzhou, Hangzhou and Shenzhen. With more than 600 thousands visitors, this exhibition has praised as one of the most popular exhibition of the year. A series of adaption of picture book, like Last Stop on Market Street and Meet the beauty series to Children’s theatres have made a national toured with more than 50 sessions in 2017. These performances have won widely good reception from the market. A quick look around any book store shows that picture books have become extremely sophisticated objects: astounding formats, complex printing processes, virtuous die-cuts… One cannot deny that design is an important dimension for the marketing of a book. However, when it comes to picture books, design does not only respond to commercial and marketing needs. Unlike novels where text and design usually operate separately, picture books are objects in which formal decisions interact directly with the contents. Far from being a new reality—the Art &Crafts movement and later Brunari Munari made a full demonstration of the world of possibilities provided by the connection design/content—, it is now at the centre of attention of all picture book publishers. How can book design and production best serve the authors’ creative intentions? Born in Beijing in 1954, Chen Zexin’s family is originary from native of Shantou in Guangdong Province, was. 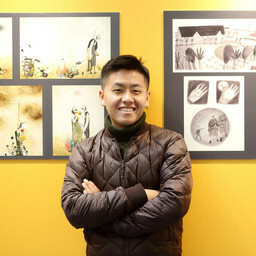 He works at Jiangsu Children's Publishing House, specialising in the illustration and design of children's books. He feels fortunate to be able to work for the cause of children's literature and illustrated books. In 2016, he was the Chinese shortlisted candidate to the Astrid Lindgren Memorial Award. 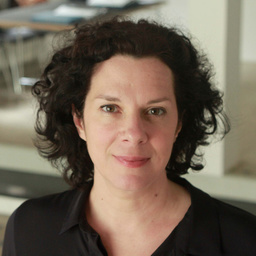 Sophie Van der Linden is a novelist and critic, specialising in the book album for youth. She is also editor (De Facto), editor of the Hors-Cadre[s] review, a trainer and a speaker. Her latest book, Album[s], in collaboration with creator and editor Olivier Douzou sums up her theory of the album (De Facto—Actes Sud, 2013). She is the editorial director of I’m looking for a book for a child (“Je cherche un livre pour un enfant")—a series of guidebooks co-published by Gallimard Jeunesse and De Facto, of which she also penned the first volume dedicated to 0–7year olds. Besides articles and contributions, she also wrote Claude Ponti (2000 Editions Être) and Read Albums” (Lire l’album) (2006, L'Atelier du Poisson soluble), to be released in China in the Fall of 2018 by Everafter Books . Since 2007, she has been Editor of the magazine Hors-Cadre(s) about picture books for youth and graphic literature for adults. As a trainer and speaker, she also teaches children's literature at universities and art schools in France and Spain. She received the 2001 Critics' Prize in Literature for Youth. Miao Wei is a binding designer, book publishing planner, illustrator, cartoonist and writer. He was born in Beijing in August 1965. In 1989, he graduated from the Central Academy of Arts and Crafts in bookbinding. In 1994, he attended the Japan Asia-Pacific International Cultural Exchange Centre to study illustrations, graphic design, and book planning. 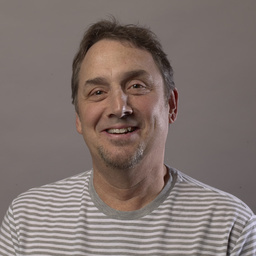 He has been working on the practice and research of children's book publishing, book illustration, and graphic design for many years, and has conducted in-depth research on book selection and development. He works for the China Children’s Press & Publication Group since 1994, and currently works as the Director of the Book Centre. Miao Wei is also a member of the Chinese Writers Association, the China Exhibition Designers Association, and the China Youth Cartoonists Association. He also writes for the Beijing Morning Post as a literary newspaper columnist. 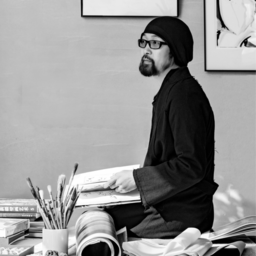 His work has won the Japan NOMA CONCOURS International Book Illustration Excellence Award and, to date, remains the only Chinese artist to have ever received this award. Known as the Nobel Prize of children's literature, the Hans Christian Andersen Award has established itself as the most prestigious recognition given to children's writers and illustrators. The "Andersen" is awarded by the International Board on Books for Young People (IBBY), and the winners' press release is one of the most expected events of the Bologna Children's Book Fair, where it has become a tradition to be held every two years. The 2018 Andersen Awards marked the confirmation of Eiko Kadono and Igor Oleynikov's creative career. Guests of honour of CCBF, Kadono and Oleynikov will share their experience as children's authors in exclusive interview sessions organised with the kind support of IBBY. Born in Tokyo in 1935, Eiko Kadono lost her mother when she was five. Soon after, the Pacific War broke out, so she had to be evacuated to the northern side of Japan when she was only ten years old. The experience of war as a child is at the root of Kadono’s deep commitment to peace and happiness. She studied American literature at Waseda University and after graduation she worked at a publisher. After her marriage, she accompanied her husband to Brazil and lived in San Paulo for two years. On the long voyage to and from Brazil, she was able to broaden her knowledge about the world. This experience brought up her curious and multicultural attitude toward creative activity. Her first book was published in 1970, since then she has penned about 250 books, which were translated into ten languages. Kadono says “to start reading a book is like opening a door to a different world. It doesn’t close at the end of the story, another door is always waiting there to be opened. People will start to look at the world in a different way after reading a story, and it’s the beginning in a sense. And I think that is the true pleasure of reading. I do hope everyone will start building their own new story from here and now”. Igor Oleynikov is a painter and illustrator born in 1953 in Lyubertsy near Moscow. He began drawing as a child but studied at the Institute of Chemical Engineering; after six years of study he worked for three years as an engineer. In 1979 he began working as an artist at the animation studio, Soyuzmultfilm and later at the Christmas Film Studios. In 1986 he began working as an illustrator for children’s periodicals and on book projects. He is very prolific and his illustrations are very dynamic with unusual characters, often rendered like cinema shots. He prefers to paint with gouache and work with textures. He has illustrated more than 80 books for children and young adults, including many classic fairy tales and works of children’s literature. Among these, Ballada o malen’kom buksire (The ballad of a little tugboat, 2011) by Joseph Brodsky was included in the 2012 IBBY Honour List. Other important titles include Mahalia Mouse goes to College (2007) by John Lithgow and Fairy Tales (2016) by Alexander Pushkin. 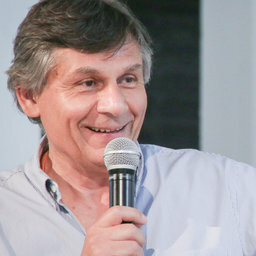 In addition to numerous exhibitions in Russia, he has exhibited at the Bologna Children’s Book Fair in 2004 and 2009 and at the BIB in 2003 and 2005. Besides he still goes on drawing cartoons and can't really say what he likes more—cartoons or books. Liz Page grew up and lived in England until 1985 when she and her family moved to Basel. She soon became involved with JuKiBu, the Intercultural Children’s Library in Basel, of which she was a founding member. Later she was elected President of the Intercultural Children’s Libraries Association of Switzerland. 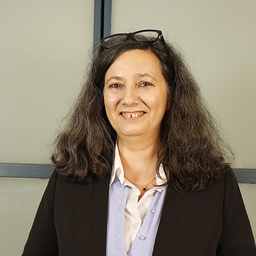 She joined IBBY as Executive Assistant in 1997, worked as Administrative Director from 2003-2006 and Director of Member Services, Communications and New Projects until March 2009, when she was appointed Executive Director. 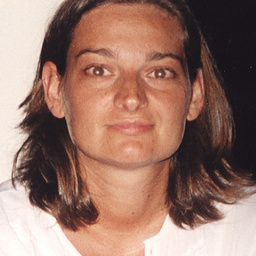 Elena Pasoli was born in Bologna (Italy). She studied Classic Literature at the University of Bologna and in 1982 started her career as PR and press officer. 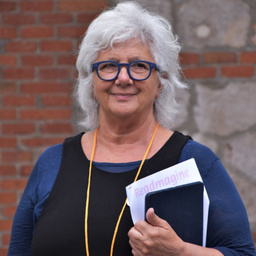 She joined BolognaFiere in 1987, first as Special Events manager, then as project manager of the Bologna Children’s Book Fair. She left the company in 2006 to join the University of Bologna Foundation where she directed the Communication Area. 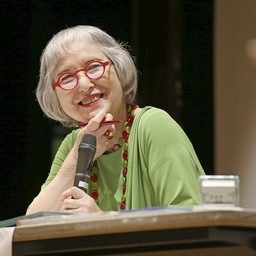 Back to BolognaFiere in 2011, in 2014 she was appointed Exhibition Director of the Bologna Children's Book Fair. There have been different forms of audio content on the market for many decades now, all around the world. Audio is forming a new wave of consumption in many different markets. How? Why now? And what are the key drivers behind the phenomenon? Entertainment, education, information: the audio content takes different formats according to specific uses and local needs. What exactly are these different formats and which specific needs do they satisfy? Children are more and more familiar with audio, its different formats and technologies, but in different ways in different markets. A global overview covering US, Europe, China and the rest of Asia will try to answer the above-mentioned questions, among others, by sharing some available numbers, market sizes, trends and case histories. Michele Cobb worked for years as a theatre director and general manager across the globe before she became involved in audiobooks, which provided her an excellent background in sales, marketing, people management, casting, and presentation. Now a recognised expert in the audio publishing industry, she began her audiobook career as Assistant Managing Director for L.A. Theatre Works (where she is currently Director of Audio Publishing), became Vice President of Sales & Marketing for the British Broadcasting Corporation audiobooks division and has served on the Audio Publishers Association (APA) board since 2001, as a director and officer, and, currently, Executive Director. As a consultant for PR, Sales, Marketing and Business Development services, she works with a long list of clients through her company Fortè Business Consulting. She is also Publisher of both AudioFile Magazine and MMB Media LLC. Marco Ferrario is the Storytel country manager in Italy and founder and CEO of Bookrepublic, an independent company active in digital publishing and digital communication. 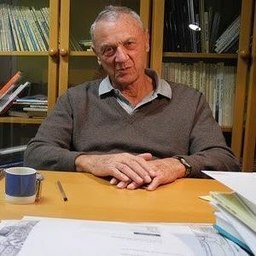 He spent more than 16 years at top executive level in Mondadori, the largest Italian publishing group, mostly in charge of digital publishing and book operations. Strongly passionate about change and innovation, he’s been involved in many initiatives linked to the content industry’s major transformations of the last decade. 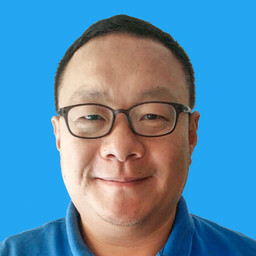 Sheng Juan, General Manager of China Publishing Today (CPToday) who once worked for Economic Daily Press, has worked in the publishing industry for 8 years. Being with CPToday for 7 years, she has grown from a newcomer to an industry recorder or observer. Now Under her leadership, the CPToday is developing into an insightful industry media with self-position and energy. Wang ZhaoYang, the Vice President of Beijing Kaisheng Culture Media Co., Ltd. He is responsible for the Children’s Content Department and New Media Department. 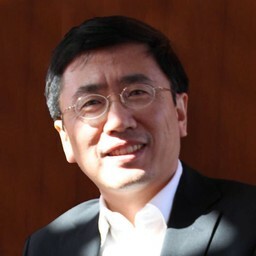 Before Wang joined Kaisheng in 2016, he used to work in China Central Television (CCTV) for more than 17 years, as the producer of CCTV Economy Channel. He used to be the Chief Director of China Economic Person of the Year Awards Ceremony, March 15th Show. Now he in charge of over 7 sections in the Children’s Content Departments, which are dedicated to producing children’s stories. In addition, the famous WeChat subscription number: “Kai Shu Story” is also under his supervise. Deputy Director of Editorial Dept. Tong Hufeng worked as a middle school physics teacher for eleven years. He also served as a K12 education & training for three years and a K9 teaching materials editor for six years. Through this experience, he had a chance to explore the integration patterns between education and publishing. In 2013, he started focusing on publishing convergence trends. 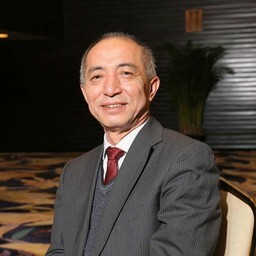 In four occasions during 2017, he led teams to develop publishing convergence at the Wuhan Intellectual Property Exchange Office. The operations, which resulted in 16.51 million RMB direct benefits and 56.33 million RMB of net benefits, were widely reported in the many media. 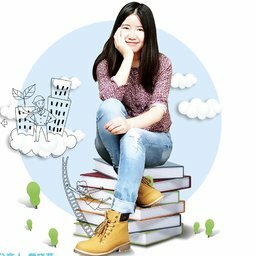 Launched two years ago, a zero cost operation called "Intelligent Learning" attracted more than 780,000 followers on its official WeChat page. “Bologna Heads Up”—Meet Daisy Zuo! Erik Titusson was born in 1974 and has been working with children’s literature for many years, in different capacities—in publishing but also as Director of the Astrid Lindgren Memorial Award (ALMA), the world’s largest award for children’s literature. 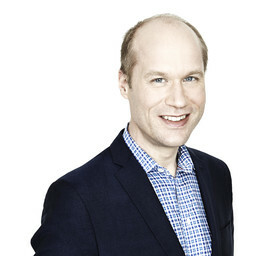 In 2011 he founded Lilla Piratförlaget, an independent publisher of high quality literature for children and young adults. Erik has also served on the board of Swedish IBBY and as jury for the HC Andersen in 2014. 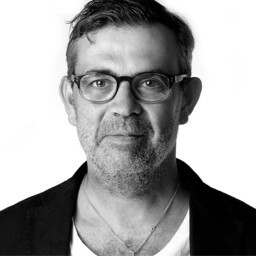 Currently, he is a member of the board of the Astrid Lindgren Society as well as the board of Swedish Best Book Design. This seminar will walk us through some of the most significant children’s book awards across the globe, including the Newbury and Caldecot Medals, the New York Times Best Illustrated Children's Books of the Year Awards, the ALMA, the Bologna Ragazzi Awards, the Fengzi Kai Awards and the CCBF-backed Chen Bochui International Children’s Literature Award. Jury, advisors and experts will share first-hand knowledge on the nature, value and singularities of each of these important benchmarks for the industry. FANG Weiping is a renowned Chinese children's literature theorist and critic. 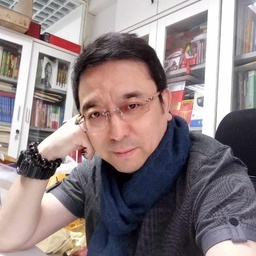 Presently, he is also: Professor of the Children's Culture Research Institute of Zhejiang Normal University, Deputy Director of the Children's Literature Committee of the Chinese Writers Association, and a Consultant for the Feng Zikai Chinese Children’s Picture Book Award. 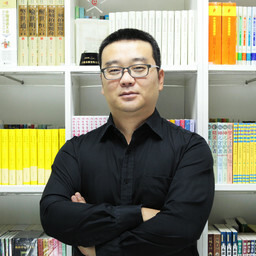 Kan Ninghui (born in April 1965) is a Chinese publisher, book fair organizer and reading advocate. 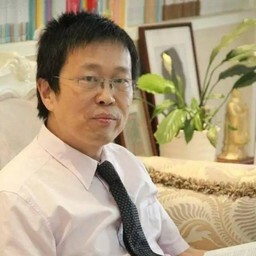 He serves as the Vice President of Shanghai Century Publishing Group. Kan earned his master's degree in the Study of Classic Chinese Texts and later became Vice President of Shanghai Literature and Art Publishing House (Group), Deputy Director of Shanghai Municipal Bureau of Press and Publication. Kan's devoted himself to publishing management, book fair organization, and reading campaigns. He's organized 6 Shanghai Book Fairs and 2 China Shanghai International Children's Book Fairs. Kan is also one of the initiators of Shanghai International Literature Week, Chen Bochui International Children’s Literature Prize. He's been promoting closer collaboration between the Shanghai Publishing Industry and the Frankfurt Book Fair, the London Book Fair and the Bologna Children's Book Fair. In October 2018, Kan, together with his colleagues, established an international publishing event at the Frankfurt Book Fair—"Shanghai Morning"—a new platform of Shanghai Century Publishing Group for international collaboration.